I haven't finished reading the entire 'Outlander' series by Diana Gabaldon, but I have enjoyed reading several novels in this series and am a fan of Diana Gabaldon's writing. Diana Gabaldon is definitely an author I'd love to meet in person! So, when I came across an article on Bustle's website titled, 11 Books Like 'Outlander' For Anyone Who Needs An Escape From Modern Day Drama by Sadie Trombetta, I couldn't resist taking a peek at the novels listed in the article. Admittedly some of the book covers for the novels listed in the above article, look a bit too cheesy to me... The good news is that five of the eleven novels look like ones I'd like to read. So, I will be adding these titles to my ever growing reading wishlist! Alias Grace is based on Margaret Atwood's award-winning novel. The six-hour miniseries follows Grace Marks, a poor, young Irish immigrant and domestic servant in Upper Canada who, along with stable hand James McDermott, was convicted of the brutal murders of their employer, Thomas Kinnear, and his housekeeper, Nancy Montgomery, in 1843. Has anyone seen the new 'Alias Grace' series on Netflix yet? As a fan of Margaret Atwood's writing, I was curious about the new series on Netflix based on Atwood's novel, Alias Grace... I've yet to read Alias Grace by Margaret Atwood, so was hesitant to watch the series prior to reading the novel. However, not knowing when I'll find the time to read Alias Grace by Margaret Atwood when I have so many other books waiting to be read, I decided to go ahead and watch the 'Alias Grace' series on Netflix. Although, I enjoyed the acting and costuming in the adaptation of 'Alias Grace', I didn't like this series overall. I can't quite put my finger on why I didn't like it... Something about it just didn't sit right with me. Another Free Little Free Library in Walnut Creek, California!! 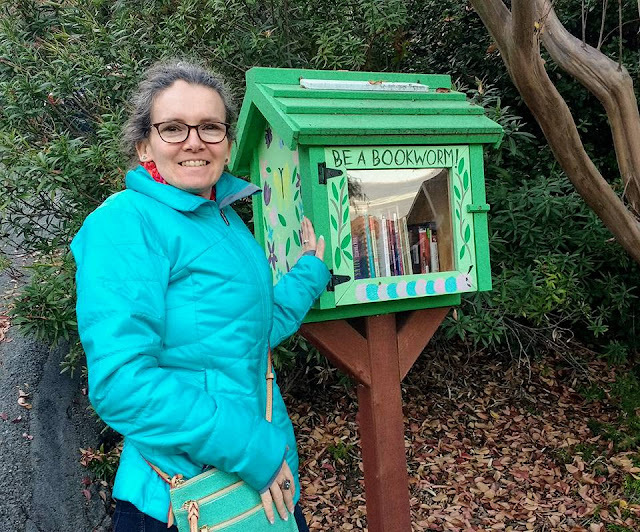 Instead of spending time at the shopping malls on Black Friday, I decided to visit a couple of new to me Little Free Libraries in Walnut Creek, California. 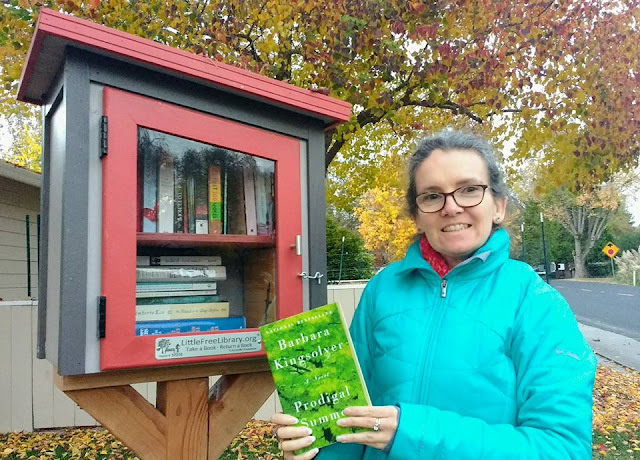 I left three audiobooks on compact disc at this particular Little Free Library and I grabbed a paperback copy of Prodigal Summer by Barbara Kingsolver. I thought this particular Little Free Library was really cute and very stylish and chic. I love finding new to me Little Free Libraries and exchanging books. I left four audiobooks on compact disc at this particular Little Free Library. However, I didn't find any books to take from this Little Free Library as none of the titles appealed to me. I thought this particular Little Free Library was really cute. My husband and I saw three baby deer walking through this neighborhood and also three large rafters of wild turkeys occupying the middle of the road and displaying odd behavior. The joys of finding new Little Free Libraries and having interesting experiences along the way make finding Little Free Libraries a blast. 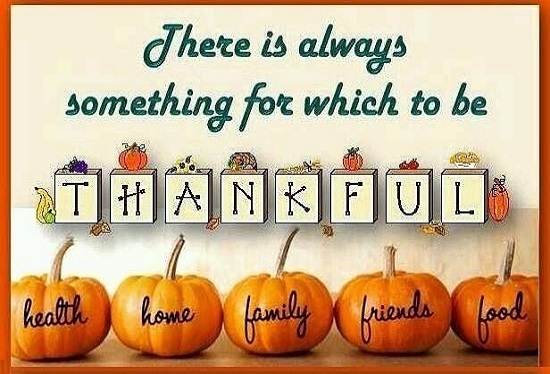 Happy Thanksgiving to You & Your Family... Enjoy the Day! Murders. Mysteries. Forensic science. 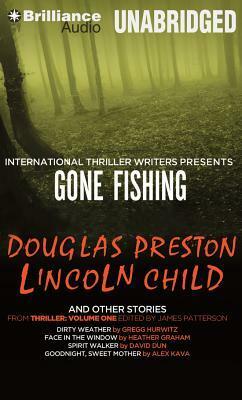 Readers who love true crime and thrillers just can't get enough. They've already read just about every book on the shelf that has to do with serial killers, spies, and/or tense investigations of gruesome crimes. All they really want for the holidays is to find a severed head in their mailbox and be pulled into a horrifying real life murder adventure—but that might be a little tough to arrange. So here are a few criminally fun gifts for the true crime and thriller lover in your life that are almost as good as solving a real crime. True crime readers are kind of a subset of mystery book lovers. Except, instead of a cozy armchair read about a murder at a manor house, they prefer an edge-of-your-seat read about real life cannibals and kidnappers. Their perfect night in involves a Jack the Ripper documentary and a psychological thriller novel based on true events. You don't necessarily have to share their obsession with all things disturbing and suspenseful. But you can certainly give them a true crime related gift that'll bring joy to their dark, twisted heart. The list of 15 gifts for true crime fans does not disappoint. Click on the top link to see which gift giving ideas will make any true crime fan happy this holiday season. Top Ten Tuesday --- Top Twelve Books I'm Thankful For! I'm so grateful for so many books that it has been difficult to narrow down which ones to add to my list this week! 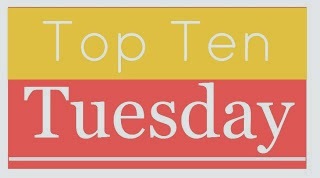 I've chosen to stick with nonfiction titles for this week's Top Ten Tuesday post. Click on the links provided below to read my review of each book. 1. Power of the Habit by Charles Duhigg ~ This is a very engaging read filled with tons of knowledge about the power of habits. 2. The Life-Changing Magic of Tidying Up by Marie Kondo ~ Need to rid your life of clutter?? This book has some really good tips on how to dispose of your clutter for good and organize your life to become clutter free. 3. Getting Things Done: The Art of Stress Free Productivity by David Allen ~ Getting things done in a stress free manner is the theme of this book. 4. Big Magic: Creative Living Beyond Fear by Elizabeth Gilbert ~ This book is pure magic. It's well written and engaging. I liked it so much more than I thought I would. 5. Mind Over Medicine by Lissa Rankin MD ~ Loved the outlook on medicine by a medical doctor. 6. 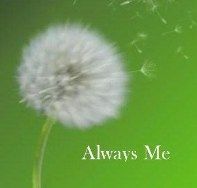 The Sound of a Wild Snail Eating by Elisabeth Tova Bailey ~ During a time of illness, the author discovers the life of a wild snail and writes about it. Who knew that the lives of snails could be so interesting? Another book I enjoyed so much more than I though I would. 7. This Common Secret: My Journey as an Abortion Doctor by Susan Wicklund ~ Abortion is such a controversial topic. It was interesting to read about this topic from the view point of a doctor who had performed abortions for much of her career. 8. My Life On The Road by Gloria Steinem ~ I've admired Gloria Steinem for years. I loved her memoir, My Life On The Road. What an interesting life Gloria Steinem has lived so far. 9. Stoned: Jewelry, Obsession, and How Desire Shapes the World by Aja Raden ~ I love jewelry and this nonfiction read discusses how jewelry has shaped history. It's a very entertaining historical journey that takes the reader around the world. 10. The Assassination of the Archduke by Greg King & Sue Woolmans ~ This well written book is FABULOUS!! It's packed with so much history and information that my mind is still spinning... The assassination of Archduke Franz Ferdinand sets off World War I. This book touches upon royal history, the lives of Archduke Franz Ferdinand and his wife + their children. Along with a lot of history before and after Franz Ferdinand's assassination. 11. The Soloist by Steve Lopez ~ Another wonderful book! Not only is The Soloist a story about a lost dream, an unlikely friendship, and the redemptive power of music, it also sheds light on mental illness, homelessness on LA's Skid Row and the struggles that go along with it in ways I could have never envisioned before my encounter with The Soloist. 12. The Professor and the Madman by Simon Winchester ~ The history of the Oxford English Dictionary is fascinating. I really enjoyed this book immensely. I came across Upstanders: Ordinary People Doing Extraordinary Things ~ Season 1 by Howard Schultz and Rajiv Chandrasekaran and narrated by Michael B. Jordan on Audible purely by chance! I'd never heard of this Audible Exclusive series before. Nor did I realize there was such a thing as 'A Starbucks Original Series'. Intrigued by what this series was about, I decided to download it to my Kindle... In fact, I was able to download Upstanders: Ordinary People Doing Extraordinary Things ~ Season 1 by Howard Schultz and Rajiv Chandrasekaran for FREE. Below is my honest, unbiased review of Upstanders: Ordinary People Doing Extraordinary Things ~ Season 1 by Howard Schultz and Rajiv Chandrasekaran. I found Upstanders: Ordinary People Doing Extraordinary Things to be uplifting! Each real life story featured in this collection leaves a positive messages on how individuals can really make a difference in the world around them. I like that each new story goes into the details fairly well without overburdening listeners with too much detail. 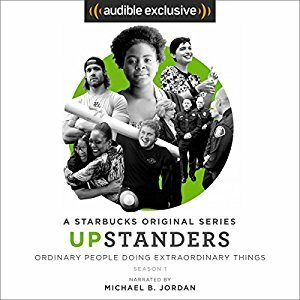 I didn't like the narrator's voice much for Upstanders: Ordinary People Doing Extraordinary Things ~ Season 1 by Howard Schultz and Rajiv Chandrasekaran. I also felt like the audio quality could have been better as well for this audio production. Listening time for Upstanders: Ordinary People Doing Extraordinary Things ~ Season 1 by Howard Schultz and Rajiv Chandrasekaran is 2 hours, 21 minutes. Let's start with this: They are the opposite of bystanders. They are problem solvers and protestors, students and parents, professionals and civic leaders. Rousing and uplifting, Upstanders identifies great men and women across our country and celebrates the strength of our core values and the boundless possibilities of the human spirit. I am giving Upstanders: Ordinary People Doing Extraordinary Things ~ Season 1 by Howard Schultz and Rajiv Chandrasekaran a rating of 3 stars out of 5 stars. I've had fantasies of writing a novel off and on for years now... But have yet to write or even attempt to write a novel to date. Writing a novel seems, well, quite daunting to say the least! I'm an avid reader, but am I able to successfully write a decent novel? How does one even begin going about writing a novel anyway? I scare myself out of trying to write anything before I even start writing my first sentence! Over the years, I've thought of some great ideas/stories/characters for writing a novel... Or at least I thought the ideas I've had for writing a novel were creative enough to make for interesting reading. But, there is so much more too writing a novel than a so called 'great idea'. Putting all the elements together to write a cohesive novel that is interesting, well written, and something people will want to read has left me from even trying to write a novel at all. November is National Novel Writing Month (NaNoWriMo) and tons of people participate in this annual, month long writing event. And although, I am not even close to being prepared to begin writing a novel, I am very inspired by the idea of finding a way to write a novel in the future. However, I did began looking for books online to help me move forward and think about writing that first novel. I came across Take Off Your Pants! 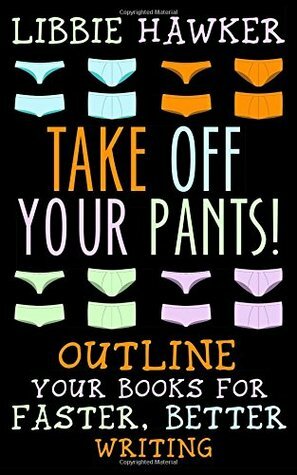 : Outline Your Books for Faster, Better Writing by Libbie Hawker on Amazon. Libbie Hawker's book on writing has 450+ reviews on Amazon and also a 4+ star rating. 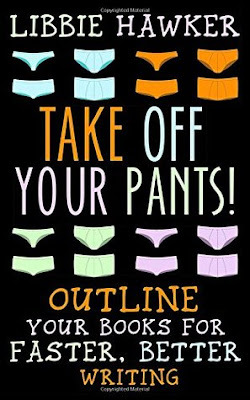 After reading what Libbie Hawker's book was all about online, I took the leap and read Take Off Your Pants! : Outline Your Books for Faster, Better Writing in three days! I like Ms. Hawker's clear writing style and the outline techniques she lays out for those wishing to write a novel. Ms. Hawker's outline techniques make sense and she gives plenty of examples in her book on how and why the outline works so successfully. The holiday season is upon us, so I most likely won't even be ready to start writing a novel until the beginning of 2018 at the soonest. When it comes to writing books, are you a "plotter" or a "pantser"? Is one method really better than the other? In this instructional book, author Libbie Hawker explains the benefits and technique of planning a story before you begin to write. She'll show you how to develop a foolproof character arc and plot, how to pace any book for a can't-put-down reading experience, and how to ensure that your stories are complete and satisfying without wasting any time or words. Hawker's outlining technique works no matter what genre you write, and no matter the age of your audience. If you want to improve writing speed, increase your backlist, and ensure a quality book before you even write the first word, this is the how-to book for you. Take off your pants! It's time to start outlining. This revised edition includes answers to the most popular questions regarding Libbie Hawker's outlining process. I am giving Take Off Your Pants! : Outline Your Books for Faster, Better Writing by Libbie Hawker a rating of 4 stars out of 5 stars. If you are a a writer, which books/writing resources have you found to be helpful in your writing journey? 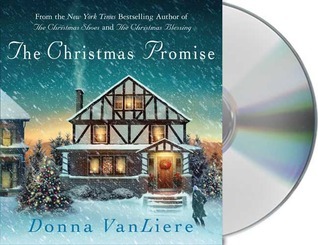 I listened to the unabridged audio version of The Christmas Promise by Donna VanLiere on compact disc and narrated by the author. The Christmas Promise by Donna VanLiere is the 4th novel in the Christmas Hope series. Listening time for The Christmas Promise by Donna VanLiere is 4 hours, 22 minutes. With the Christmas holiday swiftly approaching, I thought it would be wonderful to get into the holiday spirit by listening to a Christmas themed novel by Donna VanLiere. The funny part is that I completely forgot that I listened to a Christmas themed novel by Donna VanLiere in 2013 titled, The Christmas Secret!! The Christmas Secret by Donna VanLiere is the 5th novel the Christmas Hope series. Apparently, I didn't enjoy The Christmas Secret by Donna VanLiere after rereading my review of it. Had I remembered my experience with The Christmas Secret back in 2013, I would not have listened to The Christmas Promise. Anyway, onto my review of The Christmas Promise by Donna VanLiere. I thought that The Christmas Promise was well narrated by the author. The storyline and characters were interesting enough to keep me listening to this novel through to the end. I did laugh in parts at some of the story at some of the funny scenes. Overall, I enjoyed The Christmas Promise by Donna VanLiere even if the storyline was predictable it parts... And yes, I enjoyed this novel better than The Christmas Secret by Donna VanLiere. Chaz McConnell realizes that his life is empty - and that he's made it that way. He goes home every night to a bare apartment. For the first time in his life, he's working at a job that will last more than a few weeks, as security for Wilson's Department Store. Trying to reach out, he befriends four-year-old Donovan, whose mother is part of the janitorial team at Wilson's. Gloria Bailey finds it easy to care for families in need, but she just can't seem to bridge the gap with her cantankerous neighbor, 60-something widow Miriam Lloyd Davies. When Miriam goes away for a week and a pipe bursts, she comes home to a house under water. Gloria, in an act of kindness, or maybe insanity, invites Miriam to stay at her house until a hotel room becomes available. They eventually realize they have more in common than they ever thought. In this beautiful, deeply poignant novel, we are reminded that the past is never far behind, and all of us are longing for a place to call home. Listen to more of Donna VanLiere's Christmas stories. I am giving The Christmas Promise by Donna VanLiere a rating 3 out of 5 stars. So, I decided to select books from my massive 'to be read pile' that I still want to read. The following are books I would love to read and discuss with a book club group. Yes, on occasion, I do enjoy reading erotica and short story erotica anthologies are a great way to discover new to me authors... So, with that in mind, I chose to read The One Who Got Away edited by Kristina Wright, which is a collection of fourteen erotica short stories written by various authors. I liked the theme/concept for this collection of erotica short stories of 'the one that got away'... It's what initially attracted me to this erotica anthology. However, out of the fourteen erotica short stories presented in The One Who Got Away edited by Kristina Wright, I only enjoyed reading five of them... With 'Proof' and 'Danish Affair' being the best of the bunch. The rest of the short stories weren't all that great. We all have... that One, the one who got away. The one we fell for or simply were attracted to, but we never got. That One, but not necessarily The One, at least not the first time around. That One who slips into our fantasies late at night when we’re feeling melancholy or nostalgic. Maybe we took a chance once and it simply didn’t work out. Maybe we never took the chance... and we wish we had. We all have the name of the One Who Got Away tattooed on our heart, always with us, never forgotten. There is something hopelessly romantic about the idea of connecting with a long lost love. This luscious Cleis Press collection of second chance stories celebrates longing and loves that, whether by fate or by design, are at last requited and fulfilled. I am giving The One Who Got Away edited by Kristina Wright a rating of 2 stars out of 5 stars. I listened to the unabridged audio version of Lost Library by Kate Baray and narrated by Kelsey Osborne. Listening time for Lost Library by Kate Baray is 8 hours, 17 minutes. Lost Library by Kate Baray is the first novel in a paranormal romance series... So, if paranormal romance novels involving werewolves and magic are your thing, then this may be the novel for you!! Kate Baray is a new to me author. I thought her writing was good and I enjoyed listening to Lost Library by Kate Baray. 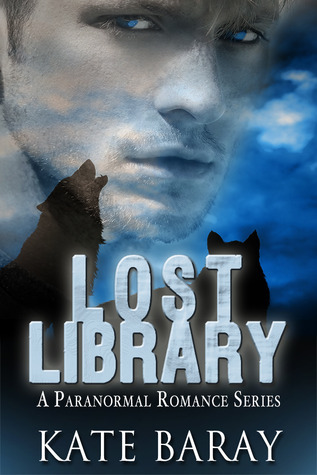 Paranormal romances are a fun escape from reality and Lost Library is no exception. The characters in Lost Library are fun and the storyline moves along at a nice pace. Kelsey Osborne is a good narrator. Although I thought Lost Library by Kate Baray was a good novel, I wasn't wowed by this novel. I will pass on reading or listening to the the rest of this paranormal series. John Braxton arrives unannounced on Lizzie Smith's doorstep looking for answers she doesn't have. She may have a magical book, but she hasn't a clue what to do with it - or even how to read it. And John's revelation that he's a Lycan isn't making the job any easier. Before the code to the book can be cracked, Lizzie and John stumble into the middle of a power-hungry mastermind's plan. Caught up in one man's search for power, Lizzie soon begins to uncover surprising secrets about her past and powers. Can she and John put a stop to their new-found enemy's plans? I am giving Lost Library by Kate Baray a rating of 3 stars out of 5 stars. 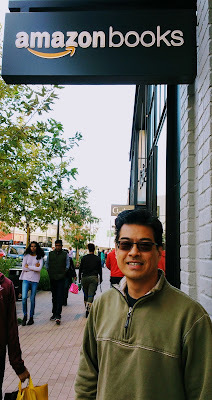 My Hubby Outside Amazon Books!! I've been hearing that Amazon has planned to open several bookstores around the USA for a long time now. So, I was excited to learn that one opened in Walnut Creek, California and another one in San Jose, California. Both locations are close to where I live, but the Walnut Creek Amazon storefront is closer to my home. This past weekend, my husband and I visited the newly opened Amazon brick and mortar bookstore in Walnut Creek, California. We visited Amazon Books out of sheer curiosity to see what an Amazon bookstore would look like in person. Boy, was this bookstore packed with people, their children, and quite a few pet dogs too the day we made our visit! We enjoyed our experience visiting Amazon Books in Walnut Creek. There was a greeter at the entrance as well as a Peet's Coffee onsite selling beverages and treats to eat and drink during one's visit. Plenty of books from nearly every genre are for sale with all the covers facing outward for readers to view easily. There are even tags below each book telling potential buyers how well the book is liked by Amazon readers/reviewers. Additionally, other Amazon products like the Amazon Echo and the Amazon Kindle are also for sale at their retail location. I enjoyed the size and layout of Amazon Books in Walnut Creek... It's a large bookstore without being overwhelmingly HUGE. The staff members we encountered during our visit were friendly and helpful. We weren't initially planning on making a purchase during our visit to the Amazon Books storefront as I already have way too many books that need to be read before buying more of them and my husband isn't an avid reader like me. I seem to acquire books much faster than I can read them... I'm sure other readers have the same problem I do with acquiring books and not being able to read them quickly enough to keep up with purchases. At any rate, my plans quickly fell by the wayside when I noticed upon entering Amazon Books that they had autographed copies of John Green's new novel, Turtles All The Way Down, for sale. I want to read this novel, so I decided to purchase John Green's new novel. Checkout was fast and easy at the Amazon Books cash wrap... Plus, we were able to purchase the latest John Green novel for the discounted price as seen on Amazon's website (40% off the cover price), which was awesome! As cool as it was to visit a brick and mortar Amazon Books storefront, I think I'll be skipping on a return visit to their physical bookstore in the future. 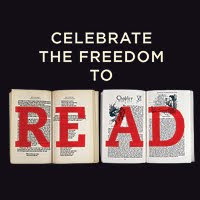 So, have you had the opportunity to visit an Amazon Books storefront? What was your experience like during your visit? Yesterday afternoon, my husband and I visited a new to us Little Free Library in Walnut Creek, California!! 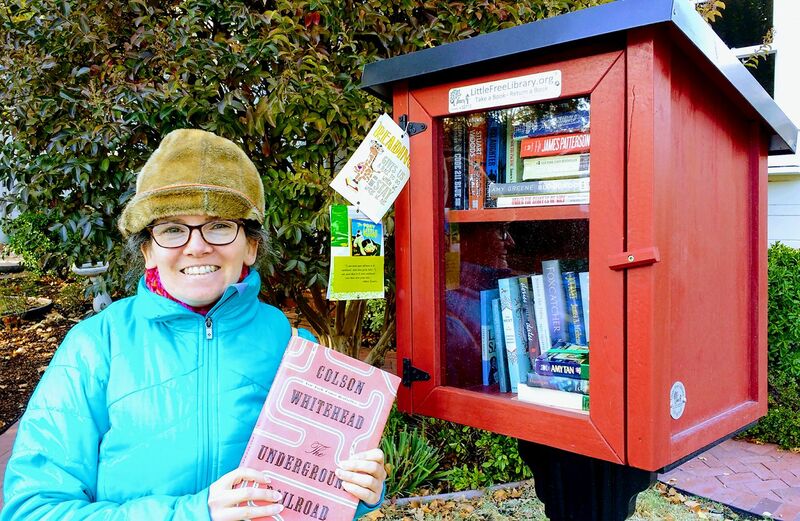 It was a very cute Little Free Libray in a very quaint neighborhood in Walnut Creek. I left three books at this particular Little Free Library and nabbed a hardback edition of The Underground Railroad by Colson Whitehead... The edition of The Underground Railroad by Colson Whitehead the I acquired from the Little Free Library has major coffee stains on it though, lol!! Not that I mind though as it was FREE!! The Underground Railroad by Colson Whitehead has been on my reading wishlist for quite awhile now, so I am happy to have a copy to enjoy reading. This week's topic is your Best/Worst Book Read in October 2017! 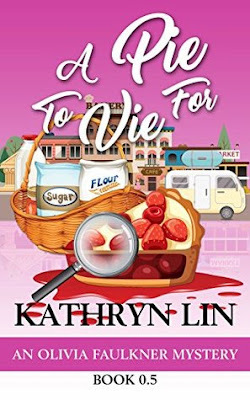 A Pie To Vie For by Kathryn Lin is a digital cozy mystery short story approximately 33 pages in length. I was able to download A Pie To Vie For by Kathryn Lin for FREE to my Kindle. Below is my honest and unbiased review of A Pie To Vie For by Kathryn Lin. I enjoyed reading A Pie To Vie For by Kathryn Lin. It's a fun, quick mystery with a female amateur sleuth that doesn't involve murder! If you love baking and cozy mysteries, then this short story may be the perfect fit for you. This is a short story that can be read as a stand-alone or as a prologue to the Olivia Faulkner Mysteries series. It is shorter than the rest of the books in the series which are all full length novels. Olivia planned on a summer road trip across the country, but she ends up stuck in her childhood home in Grand Arbor Township when her camper van breaks down. Good thing there's a $1000 grand prize in this year's Grand Arbor Cherry Festival Pie Baking Contest... The problem is--somebody is determined to make sure nobody wins. Can Olivia find out who's sabotaging the contest or will this year be the last cherry festival in Grand Arbor? I am giving A Pie To Vie For by Kathryn Lin a rating of 3 stars out of 5 stars. Bakeries & Bones by Nic Roberts is a cozy mystery short story that comes in electronic format and is approximately 53 pages in length. I was able to download Bakeries & Bones by Nic Roberts to my Kindle for FREE from Amazon. Below is my honest and unbiased review of Bakeries & Bones by Nic Roberts. 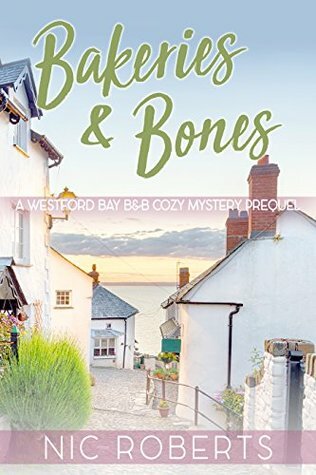 I enjoy reading cozy mysteries, so was excited to read Bakeries & Bones by Nic Roberts, especially since it had such high reviews by readers on Amazon. But alas, I wasn't in love with this short at all!! There's too much going on in this short story to make it a good read. There's definitely a dead body that the main character (a female amateur sleuth) ends up solving the murder is even though she's never solved a murder before in her life... The leading character also has a creep of a fiance that treats her with disrespect and she can't figure that out in enough time to dump his sorry a** to the curb before he dumps her... Additionally, the leading character's grandfather dies at the start of the short story and leaves her his bed and breakfast to run, but this bit of news isn't given the attention it properly deserves in Bakeries & Bones by Nic Roberts. The writing for Bakeries & Bones by Nic Roberts wasn't that engaging. 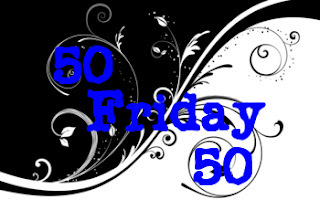 The characters were okay and the short story left something to be desired. Sticks and Bones and…Baker's Stones? I am giving Bakeries & Bones by Nic Roberts a rating of 1 star out of 5 stars.